Learn the tips and tricks to create beautiful makeup everyday. Book in for a makeup lesson with Serenity Makeup. A makeup lesson is a one on one tutorial with an artist from Serenity Makeup, who will show you step by step the techniques needed to create a flawless look. Lessons can be anything from learning a natural day look, changing your makeup routine, or achieving that desired smokey eye for the nights out! Whatever you would like to learn, have a Serenity Makeup artist teach you all that you need to know to recreate your very own personalized look at home. WHY SHOULD I HAVE A MAKEUP LESSON WITH SERENITY MAKEUP? A one on one makeup lesson with an artist from Serenity Makeup will give you the confidence to recreate makeup on yourself for an everyday look, or for when you are going out somewhere special. Serenity Makeup artists have taught numerous women of all ages and skintones, how to create an everyday look for themselves by using tips and tricks that makeup artists use in the makeup industry. Have you ever wondered how to get glowing, more beautiful and youthful looking skin, or how to achieve a stunning smokey eye? Maybe you have a darker skintone and find it hard to get the right foundation match or to get rid of darkness under the eyes. Serenity can show you simple techniques that will take less time but with better results. Bring out the makeup artist in you and book a makeup lesson with Serenity Makeup today! WHAT CAN I EXPECT FROM A MAKEUP LESSON WITH SERENITY MAKEUP? An artist from Serenity Makeup will travel to your home with her makeup kit and will do a makeup lesson within your own relaxed environment. From skincare to lip colour, step by step! Your artist will show you how to apply makeup on one side of your face, while you copy on the other side of your face. By doing this, it will help you remember the steps when you are doing it yourself in the future. Your artist will then write down all the products she uses and the order to do them in, so you have a guide to follow if/when you need it in the future. We will provide a face chart for you to write down notes, products used and the order to do them in, so you have a guide to follow if/when you need it in the future. HOW LONG DOES A MAKEUP LESSON TAKE? A makeup lesson with a Serenity Makeup artist will take 1 hour for a natural day look and up to 1 & 1/2 hours for a natural day to evening look. 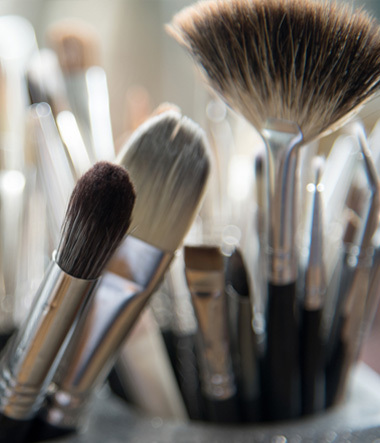 If you want to spend longer on a lesson, or if you want to try different makeup looks, then you can discuss this when making your booking and book in the extra time or you can ask your artist who can book longer if she has time on the day. Please also allow 10 mins for setting up and packing down the makeup kit. ARE THERE DIFFERENT TYPES OF MAKEUP LESSONS I CAN HAVE? 1. ‘NATURAL DAY’ MAKEUP LESSON – A makeup lesson where a Serenity Makeup artist will show you step by step how to create a natural day look or a more glamorous look for special occasions. This lesson is for all ages, as your artist will tailor the makeup to suit you. 2. ‘DAY TO EVENING’ MAKEUP LESSON– Learn with an artist the tips and tricks to creating a beautiful evening makeup look to suit your complexion and face shape. This is great if you would like to learn how to turn a natural day look into a more glam evening look for a special occasion. 3. ‘MUMS ON THE GO’ MAKEUP LESSON – A makeup lesson where an artist can show mums with small children, how to get an everyday natural makeup look in a routine which takes 5- 10 mins. Mums don’t have a lot of time to spend on themselves, which is why knowing simple quick techniques can make you feel really good without sacrificing a lot of time away from the kids. 4. ‘WOMEN AT WORK’ MAKEUP LESSON – A makeup lesson for women who are in the workplace, and would love to update their makeup look or learn some new techniques. This lesson is also perfect for women who are just going back to work after having children. If you are a bit out of the habit of wearing makeup, but would love a natural quick everyday makeup look which is suitable for the workplace, then this makeup lesson would be perfect for you. 5. ‘TEENAGE’ MAKEUP LESSON – A makeup lesson where an artist can teach your teenage daughter how to do a natural look. When learning how to use makeup for the first time, it is best to learn makeup techniques to apply makeup in the right way. Girls have a big interest in makeup at a younger age these days, so why not have them learn how to do it in a natural but beautiful way since they don’t need a lot of makeup. 6. ‘USE WHAT YOU OWN’ MAKEUP LESSON – A makeup lesson where an artist will teach you how to use the products you already own yourself at home. Your artist can see what makeup colours you own that suit you best, and will let you know what other colour options you could wear. A great way to use makeup that you’ve already got, that is sitting in the back of your drawers.